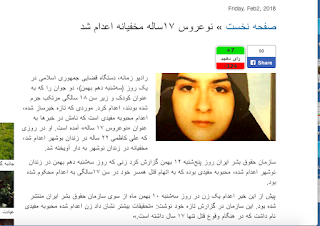 According to news, Mahboubeh Mofidi a 17 year old newly wed girl who have allegedly killed her husband together with the help of her husbands brother four years ago , was sentenced to death and is hanged on Tuesday in Noshahr city prison. The news also adds that, another young man Ali Kazemi allegedly convict was also hanged on the same day in Bushehr city prison . The news indicate that, She was 17 years old when she allegedly committed killing her husband with the help of her husbands brother . With the execution of these two young offenders , the number of execution comes to three young offender just in one month. 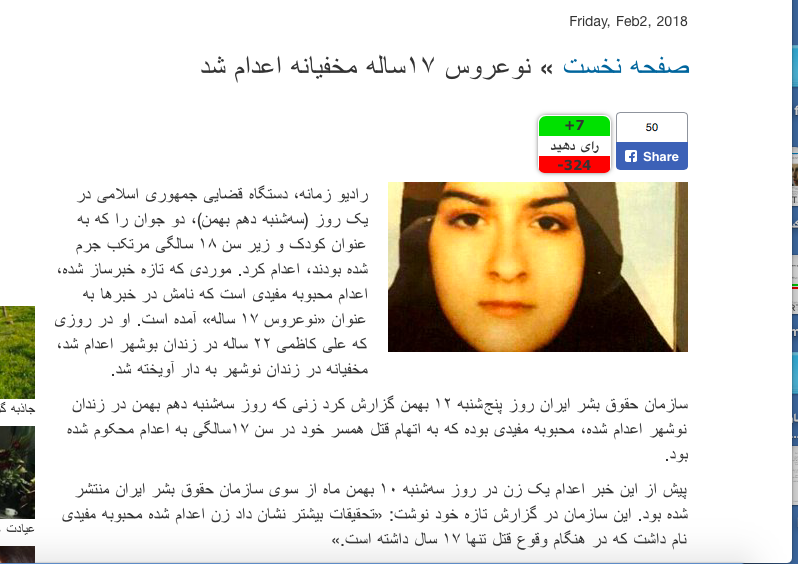 The other young offender is Amir Hossein Pourjafar. These young offenders allegedly committed the crime when they were 15 and 16 . According to news , The Islamic Republic have executed 87 young offenders between 2005 and 2018. At present at least 80 young offenders are awaiting for their execution in Islamic Republic prisons.